The Ataris are an American rock band from Anderson, Indiana. Formed in 1995, they have released five studio albums, with So Long, Astoria certified gold. In 2009, an album was announced to be entitled The Graveyard of the Atlantic although the album’s status has been on indefinite ambiguity, with just two EPs released in 2010 and 2012 both with the same titles as the awaited album. They are best known for their hit cover song, originally recorded by Don Henley, “The Boys of Summer”. In 2002, the lineup changed again, with John Collura replacing Peña on guitar. Prior to this, Collura had played in his own band who’d toured with The Ataris. He’d also done time on tour as a guitar tech for The Ataris just prior to Peña’s departure. During this same period, the Ataris’ contract with Kung Fu Records expired, and the band chose to sign with Columbia Records. Later that year, they began recording their fourth full-length album and major label debut, So Long, Astoria, released on March 4, 2003. Produced by Lou Giordano, the album’s production served as a stark contrast to any of the band’s past releases. Whereas previous efforts would be recorded in short time spans between tours. 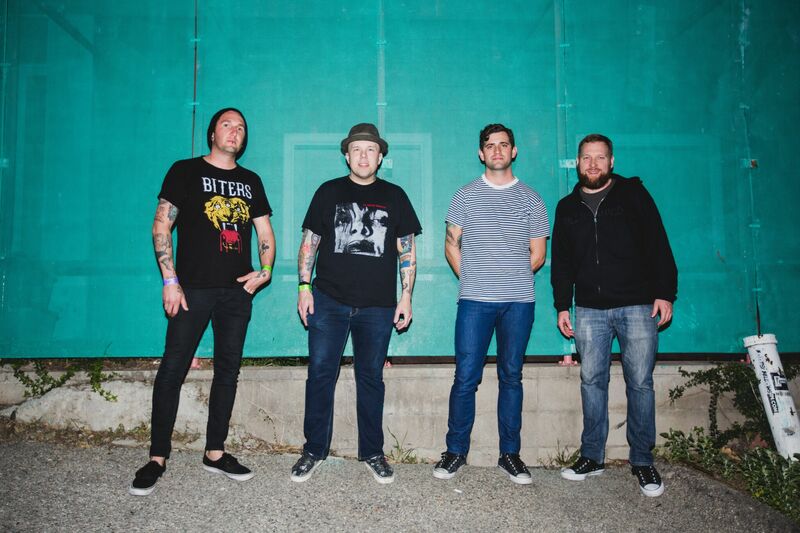 So Long, Astoria was widely credited for introducing The Ataris to a larger mainstream audience and generating several successful singles, including “In This Diary” and “The Saddest Song.” Musically, the album showcased very personal, encrypted and slightly more optimistic songwriting with a more refined, straightforward rock sound, not unlikeJimmy Eat World. This album also included their hit cover song, originally recorded by Don Henley “The Boys of Summer“, which much to the dismay of the band became their “accidental” second single after a radio station, KROQ in Los Angeles started playing it, even though the band had already chosen the song “My Reply” as their second single.The single is their highest charting single to date, reaching No. 20 on the Billboard Hot 100. The band toured behind this record for most of 2003 and into early 2004 adding another guitarist (Joseph Farriella) to the band. That year also saw the release of a low-key live album, Live At The Metro, along with a track on the Spider-Man 2 soundtrack. So Long, Astoria sold well in excess of 700,000 copies and was certified gold. After a number of personal, financial and artistic differences, this line-up decided to respectfully and creatively go its separate ways over the summer and fall of 2004. Davenport, interested in playing heavier music, became a founding member of the band Versus the World, while Knapp stopped playing music altogether and stayed in Santa Barbara. Details regarding the departures of Knapp and Davenport have been kept quiet for sometime, and neither camp has appeared interested in fueling any public debate or ill-will. Looking for some time off, Roe headed back to Indiana while Collura, Farriella moved back to New York; though they would later regroup to begin the recordings of the band’s next album. In 2010, a two track EP, All Souls’ Day & the Graveyard of the Atlantic containing just its eponymous tracks was released under the Paper + Plastick label. In 2012, the band released a four track EP entitled The Graveyard of the Atlantic. From 2013, The Ataris begun a North American tour with Kris Roe as singer and the former members John Collura, Mike Davenport and Chris Knapp to celebrate the 10 years of their most successful album So Long, Astoria. Collective Touring will be presenting them on the Indonesian tour in June 2016.